by Brusca, Richard C.; Moore, Wendy; Shuster, Stephen M.
- New phyla have been described (e.g., Micrognathozoa, Xenacoelomorpha). - Old phyla have been collapsed into others (e.g., Sipuncula and Echiura are now placed within Annelida; acanthocephalans are now known to be highly modified, parasitic rotifers). - Phyla once thought to be deuterostomes are now part of the protostome clade (e.g., Chaetognatha, Phoronida, Bryozoa, Brachiopoda). - The Protostomia has been reorganized into two major clades known as Ecdysozoa and Spiralia. For each of the thirty-two currently recognized phyla, Invertebrates, Third Edition, presents detailed classifications, revised taxonomic synopses, updated information on general biology and anatomy, and current phylogenetic hypotheses, organized with boxes and tables, and illustrated with abundant line drawings and new color photos. The chapters are organized around the "new animal phylogeny," while introductory chapters provide basic background information on the general biology of invertebrates. Two new coauthors have been added to the writing team, and twenty-two additional invertebrate zoologists have contributed to chapter revisions. 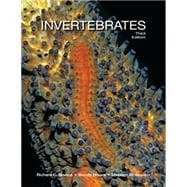 This benchmark volume on our modern views of invertebrate biology should be in every zoologist's library. - Textbook Figures and Tables: All of the textbook's figures and tables are included as both high- and low-resolution JPEGs, for easy use in presentation software, learning management systems, and assessments. New for the Third Edition, this now includes all of the textbook's photographs. - Supplemental Photo Collection: This collection of over 900 photographs depicts organisms that span the entire range of phyla covered in the textbook. - PowerPoint Presentations: Two ready-to-use PowerPoint presentations are provided for each chapter of the textbook: one that contains all of the textbook figures and tables, and one that contains all of the relevant photos from the supplemental photo collection. Richard C. Brusca is Executive Director, Emeritus of the Arizona-Sonora Desert Museum and a Research Scientist at the University of Arizona. Rick is the author of nearly 200 research publications and 13 books, including the popular field guides Common Intertidal Invertebrates of the Gulf of California, A Seashore Guide to the Northern Gulf of California, and A Natural History the Santa Catalina Mountains, with an Introduction to the Madrean Sky Islands. He has been the recipient of more than 100 research grants from the National Science Foundation, NOAA, the National Geographic Society, the David and Lucile Packard Foundation, and many other agencies and foundations. He has served on panels for the National Science Board, National Science Foundation, Smithsonian Institution, PEW Program in Conservation and the Environment, Public Broadcasting Service, IUCN Species Survival Commission, and many others. Rick has also served on many environmental non-profit boards, in the U.S. and abroad, and he has organized and conducted field expeditions throughout the world, on every continent. He is an elected Fellow in the American Association for the Advancement of Science (AAAS), the Linnean Society of London (FLS), and the California Academy of Sciences. Wendy Moore is Assistant Professor in the Department of Entomology at the University of Arizona and Curator of the University of Arizona Insect Collection. Her degrees were earned at Vanderbilt University (B.S., General Biology), the College of Charleston (M.S., Marine Biology), and the University of Arizona (Ph.D., Entomology/Ecology and Evolutionary Biology). Dr. Moore's long-term research interest is the evolution of biotic diversity--especially the evolution of symbiotic lifestyles and how major biotic, climatic, and tectonic events may have influenced the timing and patterns of diversification. Much of her current research is on the carabid beetle subfamily Paussinae, many species of which are obligate symbionts with ants. She is also deeply committed to collections care and enhancement, and the use of bioinformatics to make collections-based data widely available to diverse user communities. Stephen M. Shuster is Professor of Invertebrate Zoology and Curator of Marine Invertebrates and Molluscs at Northern Arizona University. He earned a B.S. in Zoology from the University of Michigan, an M.S. in Biology from the University of New Mexico, and a Ph.D. in Zoology from the University of California, Berkeley. The author or coauthor of over 75 journal articles, encyclopedia entries, book reviews, and contributed book chapters, Dr. Shuster collaborated with Michael J. Wade on the book Mating Systems and Strategies (2003). His research broadly concerns mating system evolution, male and female reproductive behavior, community and ecosystem genetics, and the population biology of marine organisms. His recent work focuses on the measurement of selection within and among species, and the maintenance of genetic variation in natural populations of marine crustaceans and terrestrial arthropods. Where Did Invertebrates Come From? Phylum Stramenopila: Diatoms, Brown Algae, Golden Algae, Slime Nets, Oomycetes, etc.